Our luxurious 2 soap set includes our Flower Power Soap and our popular Seaweed Soap. 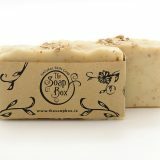 Our Flower Power Soap has a gorgeous fresh lemony scent which is especially popular with our teenage customers. Therapeutic grade essential oils of Lemongrass, Geranium and Bergamot are combined to give this soap amazing uplifting qualities. 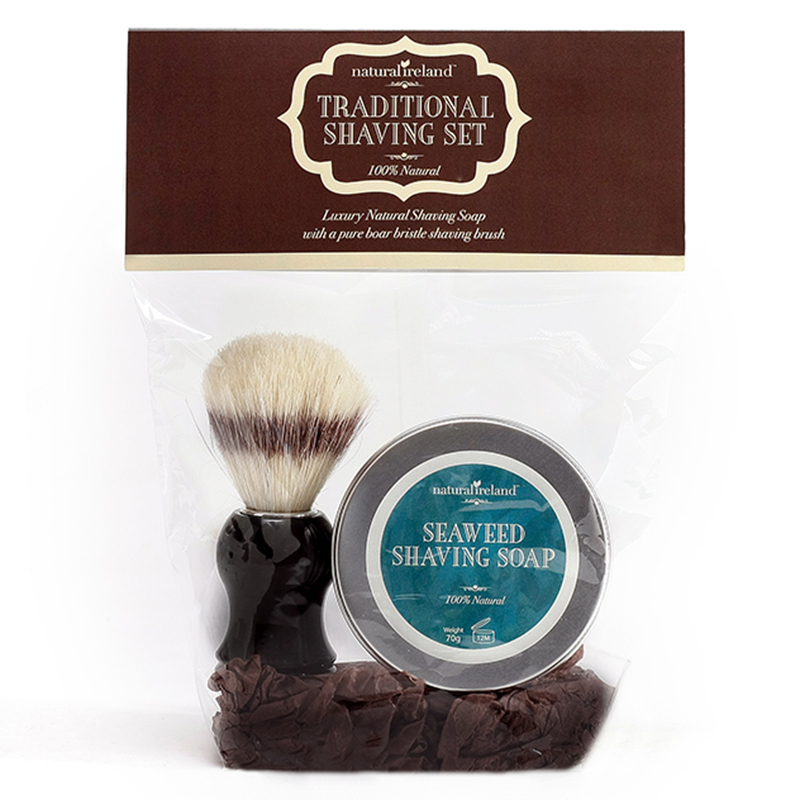 Our popular seaweed soap is a very unique product made with two types of Irish Seaweed. Kelp and Blabberwrack seaweeds are used to bring the benefits of the sea to your daily skincare routine. 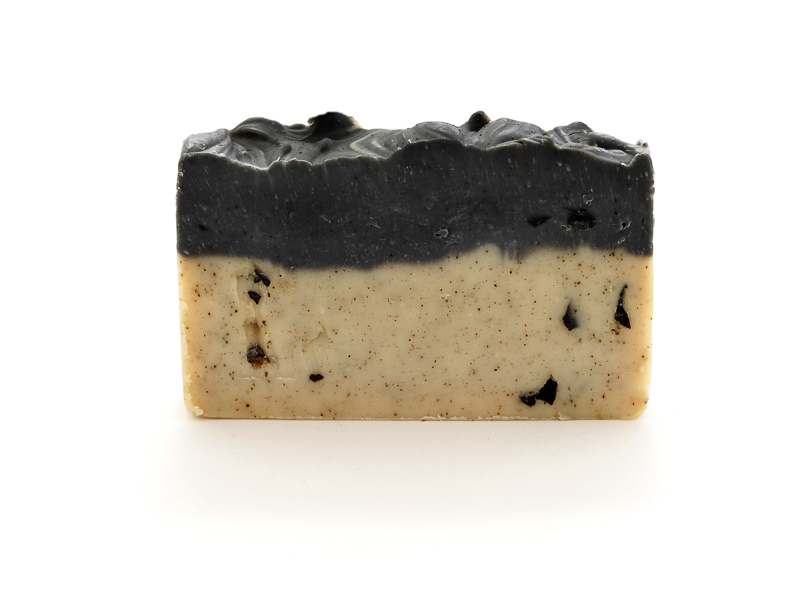 All our soaps are made from food grade oilive oil and a blend of high quality natural oils and butters. 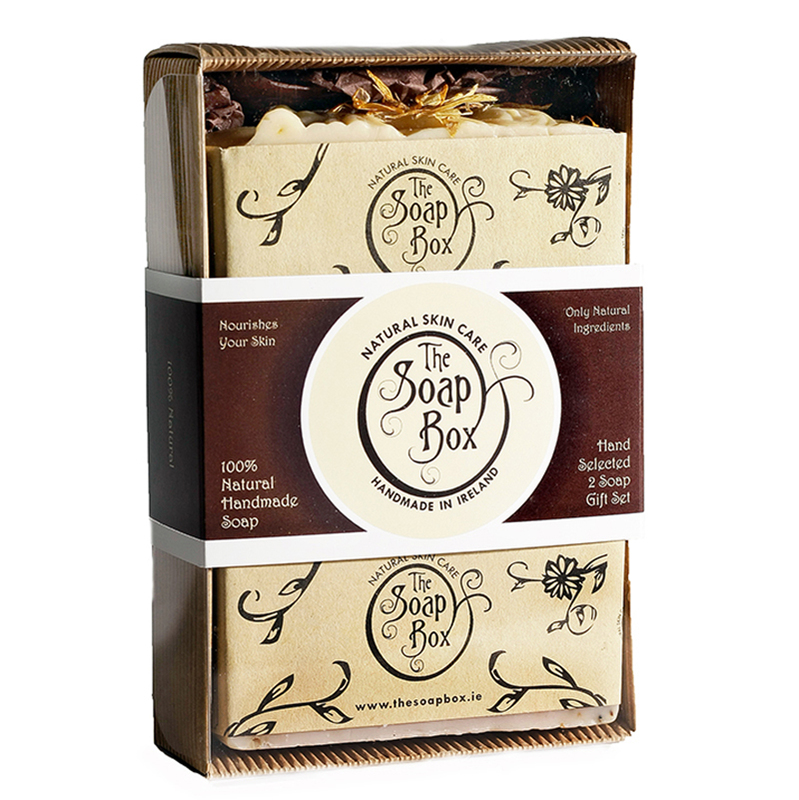 Our soap is naturally high in glycerine which moisturises the skin. 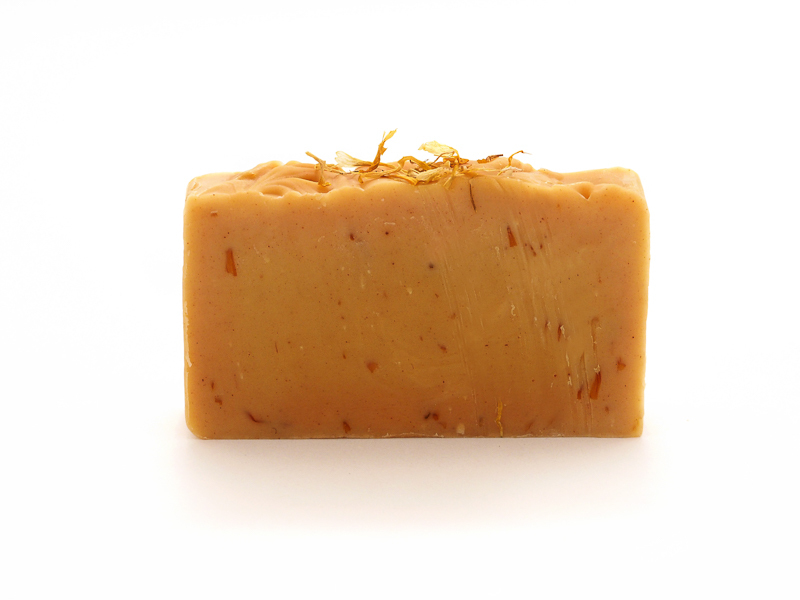 As our soaps are 100% natural they will not irritate sensitive skin or skin conditions. 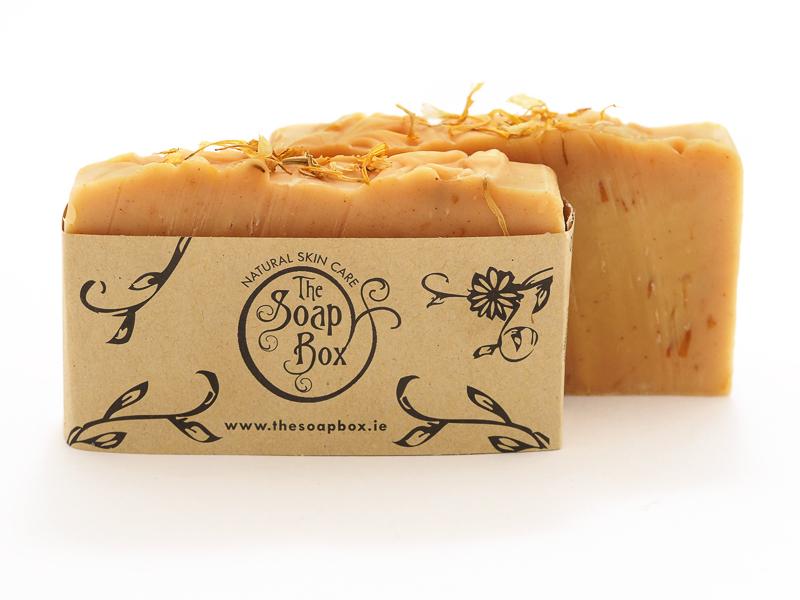 Our popular seaweed soap is a very unique product made with two types of Irish Seaweed. Kelp and Blabberwrack seaweeds are used to bring the benefits of the sea to your daily skincare routine. The therapeutic benefits of seaweed have long been known along the Irish coast. Seaweed has detoxing properities and is a rich source of vitamins and minerals which dissolves and eliminate toxins from the skin. 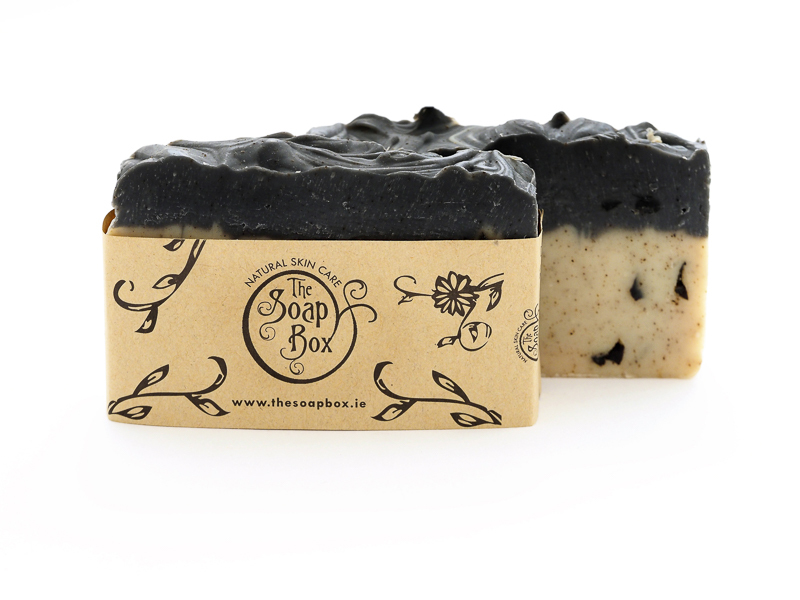 The distinctive black colour of this soap is activated charcoal which has further cleansing properties for the skin. Therapeutic grade essential oils of Tea Tree and Peppermint combine in this soap to give a beautiful fresh, clean scent. Tea Tree essential oil has powerful antiseptic properties while Peppermint Essential Oil will cool the skin, clear sinuses and sharpen mind for the day ahead. Recommended by our customers for all skin conditions, sensitive skin, acne and problem teenage skin. 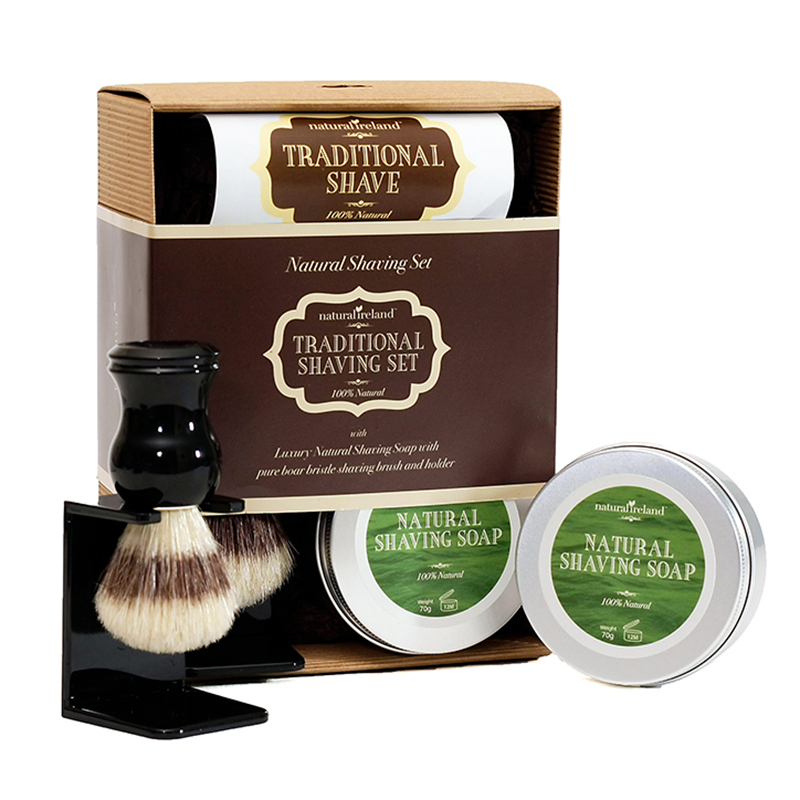 Be the first to review “Luxurious Two Soap Gift Set” Click here to cancel reply.